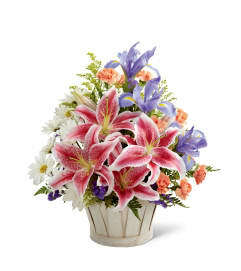 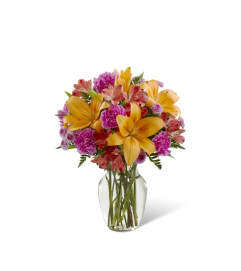 Speak from your heart to theirs with a collection of pink vibrant blooms. 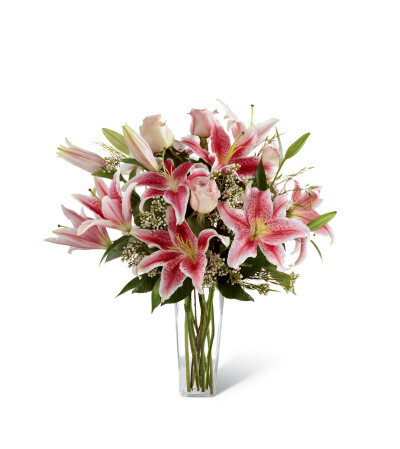 Pale pink roses collaborate with the magic of Stargazer lilies displaying their fragrant fuchsia petals amidst waxflower accents. Beautifully arranged in a clear square tapered glass vase, this bouquet sends your warmest sentiments with glamour and grace.